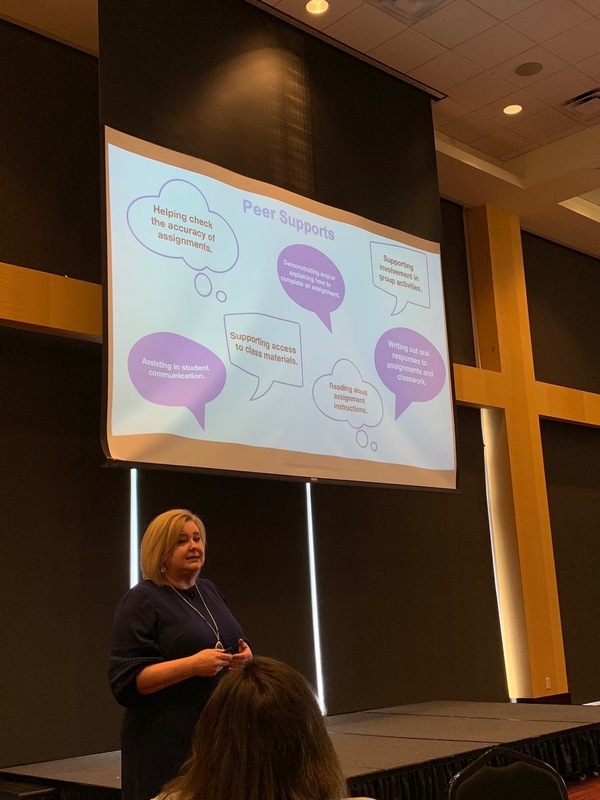 As you know, I am passionate about inclusive education and loves to share what I've learned from being "in the trenches". I spent over 15 years as an inclusion classroom teacher in a fully inclusive school system. 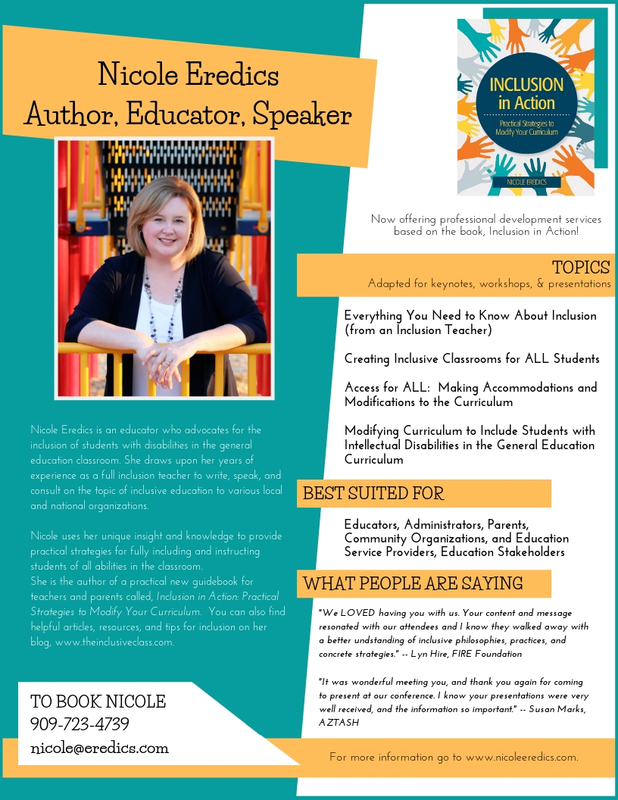 I am available for give keynote presentations, breakout sessions, workshops, and webinars to those interested in successfully including students with disabilities in the classroom. I am happy to discuss other topic options to better suit your specific needs. Contact me at theinclusiveclass@gmail.com! As any teacher will tell you, teaching isn't just about lessons, marking school work, and tests. 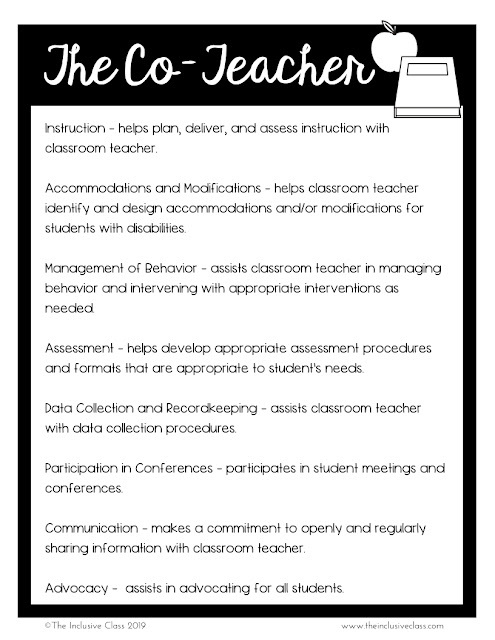 It's also about keeping track of a million little details such as how many available pencils are in your classroom at any given time, which student has gone to the bathroom, who needs to finish an assignment, and remembering to hand-out permission forms for the class field trip. It's enough to make you forget what you have to teach that day! 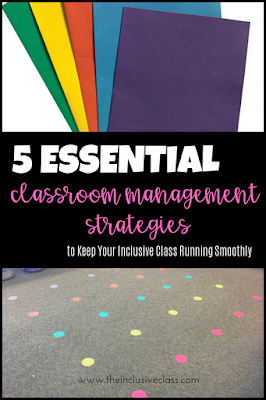 Classroom management plans are established to make school life a little less chaotic for teachers and a lot more predictable for students. Those plans are made of routines and protocols that are meant to be consistent and effective. For example, students can write their name (or use a name tag) on the board before leaving the classroom. 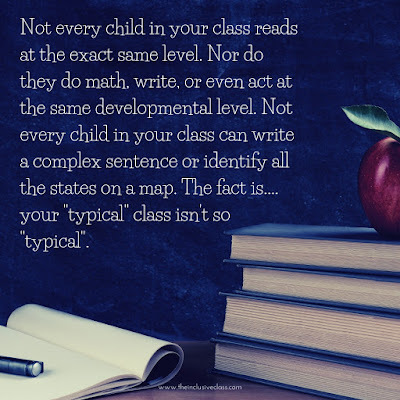 Thus, a teacher only has to glance at the board to know who or who is not in the classroom. Quick update! Life has been busy and I haven't had a chance to contribute much to this blog. I will have some more time in the next few weeks so hope to get some more posts written. Some of the things that have been keeping me busy recently include speaking at a number of conferences recently. I never imagined I would have the opportunity to share my experiences and knowledge at conferences and I love it! 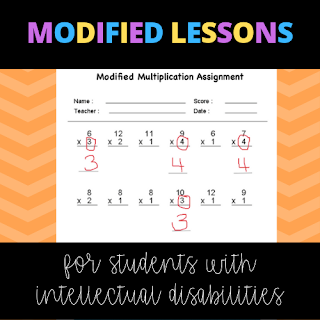 Modified Lessons All in One Place! 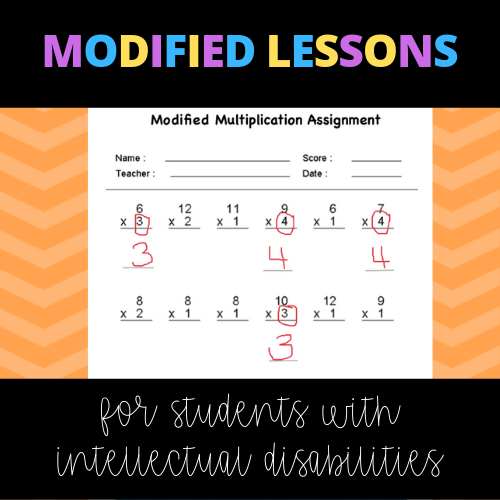 I am currently in the process of putting together an online binder that contains lessons and lesson ideas for modifying curriculum for students with intellectual disabilities. You can view the binder @ http://bit.ly/modifiedlessons.